LOS ANGELES, CALIF., Nov. 16, 2017—Canadian Music Publishers Association (CMPA) is currently in Los Angeles, Calif., hosting the second of this year’s two-edition CMPA Create initiative in order to strengthen the profile of Canada’s music publishing industry globally. Returning to where it held a very successful event last year, CMPA Create LA runs from Nov. 12 to 17. Launched in 2016, CMPA Create is a dual-purpose music publishing export initiative that connects Canadian talent with songwriters in international territories and links music publishers with key business contacts in global markets. Don DePoe (Americana Music), Emily Haffenden (Aporia Records), Glenn McMullen (Sound of Pop), Gord Dimitrieff (Aporia Records), Graham Stairs (Pop Guru), James Campbell (Slaight Music), Jodie Ferneyhough (CCS Rights Management), Jon Landry (Groundswell), Jordan Howard (CCS Rights Management), Patrick Zulinov (Hyvetown), Tim Jones (Pipe & Hat) and Vince Degiorgio (CYMBA Music Publishing). CMPA Create Los Angeles participating Canadian songwriters include: Christina Rieder (Cordova Bay), Dave Sampson (Groundswell), Ferro Montanino (Pipe & Hat), Hannah Georgas (Peer Music), Nathan Ferraro (Hyvetown), Patrick Bouchard (Bloc Notes Music Publishing) and Taylor Knox (Arts & Crafts). American writers are also contributing, including: Hal Cragin, Hunnah, Jordan Kyle, Kimi Recor, Kyle Neal, Pat Linehan and Tima Dee. The revenues of our music publishing members have grown by $120 million in the past twelve years. Export has clearly been a driver of the overall growth in the industry with a recent study showing that two thirds of those revenues are from foreign sources. This represents a complete reversal of the ratio of domestic to foreign sources from what was found in a 2005 industry study, in which 28 per cent of revenue was from foreign sources. “CMPA Create is helping to showcase Canada’s talented songwriters and successful music publishers to global audiences and allowing participants to make strategic international business connections that can result in Canadian songs and culture being exported abroad. It is an invaluable initiative to grow the Canadian music publishing industry and strengthen creators’ access to international markets, which we will look to expand in the future,” says Margaret McGuffin, Executive Director of the Canadian Music Publishers Association. This year’s first edition of CMPA Create took place in September when CMPA, along with Canadian songwriters and music publishers, ventured to Berlin and Hamburg for CMPA Create Germany. The Canadian Music Publishers Association would like to acknowledge the support of the Government of Canada, through the Canada Music Fund, the Consulate General of Canada in Los Angeles, the Association of Independent Music Publishers (AIMP) and the Guild of Music Supervisors for their support of CMPA Create LA. The Canadian Music Publishers Association represents music publishers by creating global business opportunities and we promote our members’ interests and those of their song writing partners through advocacy, communication and education. 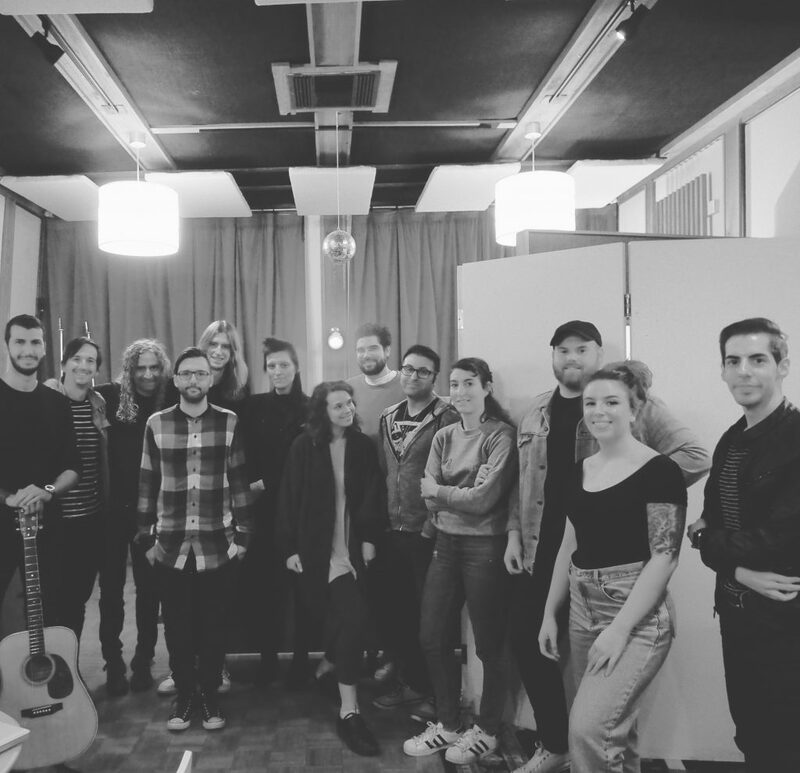 Left to right – Redah Haddioui, Kyle Neal, Hal Cragin, Patrick Bouchard (Bloc Notes), Taylor Knox (Arts & Crafts), Kimi Recor, Rykka aka Christina Rieder (Cordova Bay), Nathan Ferraro (Hyvetown), Ferro Montanino (Pipe & Hat), Hannah Georgas (Peer Music), Dave Sampson (Groundswell), Tima Dee, Jordan Kyle. Not pictured Hunnah and Pat Linehan.